Diane Rwigara, an opposition leader, who was barred from challenging Rwandan President Paul Kagame in last month's election is missing after police raided her home on Tuesday. 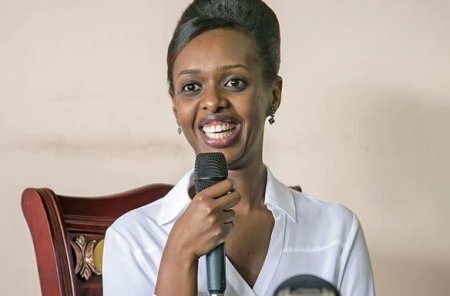 Police officers took Diane Rwigara and some of her family members to an unknown location on Tuesday night after raiding her house in the Rwandan capital Kigali, her brother Aristide said. Rwandan police denied arresting Rwigara. "What is true is that police have conducted a search at her family residence as part of preliminary investigations on tax evasion and forgery." An accountant and political newcomer, Rwigara announced her intention in May to run in the August election against Kagame, who has held held de facto power in Rwanda since 1994. She was later disqualified on a technicality from running against Kagame, who went on to win his third seven-year term with 99 percent of the vote. Rwigara's family say the former candidate, her mother and four siblings have been missing since the raid. African politics, a do or die affair.